So how does all this play in salesforce apex ? 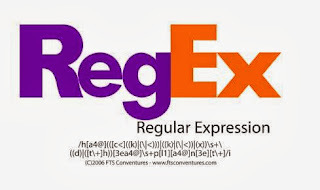 There are numerous use cases for using regex and checking patterns e.g. Checking if string is in Email Format. in short, the pattern class is used to store a type of regex and once you have a pattern stored, We use the Matcher Class to identify if a specified string matches the pattern. Hope this helped ! Let me know your thoughts or if there are some neat regex that you'd like to share in the comments . Happy Coding ! This work by Shivanath D is licensed under a Creative Commons Attribution-ShareAlike 3.0 Unported License. Copyright © 2012 Shivanath Devinarayanan. Powered by Blogger.